Just as every patient is unique, so is every healthcare facility. We approach each project with the experience needed to design, install, and service your nurse call system. Whether you need patient-to-staff or staff-to-staff communications, emergency notifications or informational presentations, we evaluate your unique requirements and then create customized plans that best fit your needs and budget requirements. You’ll be at the leading edge of evolving healthcare communication technologies with the help of our select, best-in-class manufacturers. Patient CareBoards™ keep communication lines open and help ensure that patients and staff are on the same page. 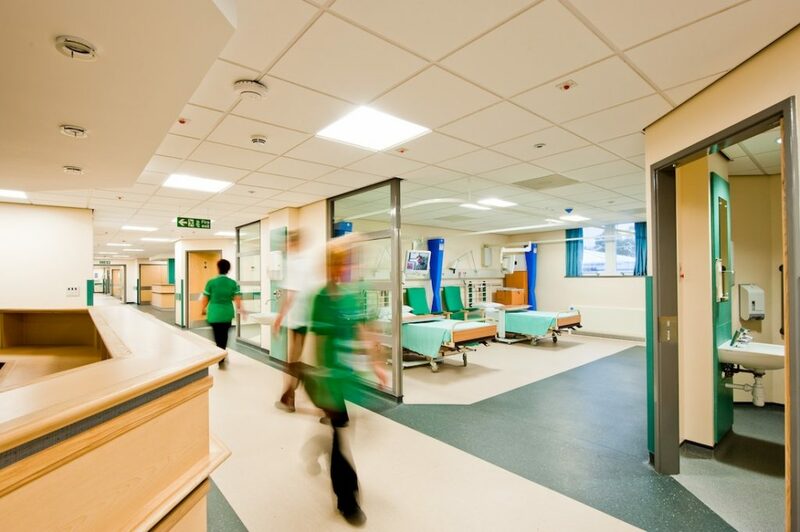 These boards can also boost staff efficiency and keep patients informed along the way by communicating important reminders, updates, requests and general information to assigned staff. Set schedules for therapy, diagnostics, etc. The Unit CareBoard­™ was engineered to replace old-fashioned grease boards. 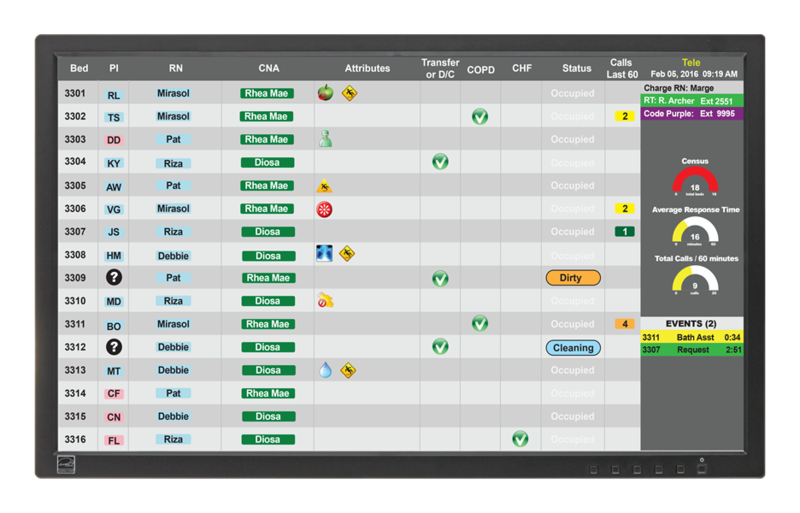 It was designed for hallways or nursing areas and can display current status information like assignments, patient statuses, and other fully customizable fields to help improve organization and response times. Any changes (bed assignments, staffing, patient info, bed availability, etc.) 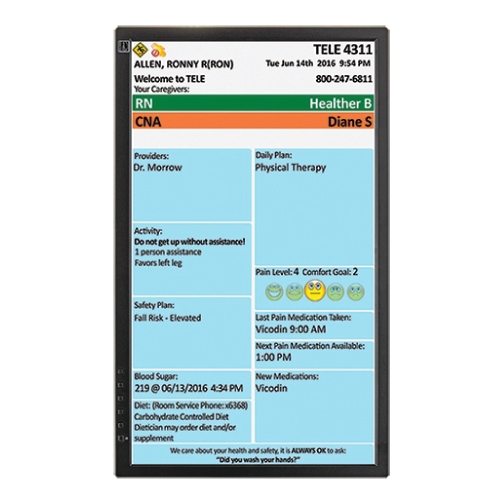 made through the web interface, FocusCare® masters, ADT or other methods have the ability to be reflected on the Unit CareBoard™ display. With the optional Stryker iBED interface, the Unit CareBoard™ can display information directly from each bed, including bed exit, brake, side rail, fowler, bed height alarms. The intelligently designed i-Dome® Touch features an intuitive, colorful and easy to use touchscreen allowing caregivers to optimize workflow and increase staff efficiency. 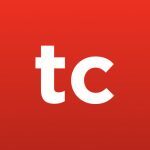 It provides a platform for clinical connectivity that revolutionizes nurse communication systems and directly helps your facility increase patient satisfaction, improve staff response time, enhance patient safety, advance communication, boost staff productivity, drive facility’s ranking and achieve executive goals. Clear, easy to read, capacitive touchscreen. 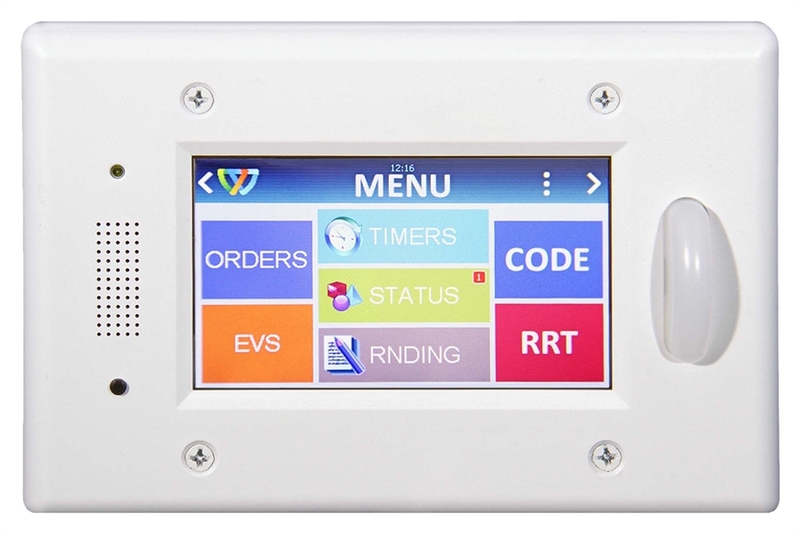 Configurable to display patient attributes and room status as well as patient discharge function. Assists in staff to staff communication with respect to transportation, EVS, Rapid Response, Code Teams, among other orders. Easy to set timers allow for automatic notifications including pain medication reassessment, rounding, vitals check, general prep, and turn. Supports multiple states; can cycle between 15 colors to illustrate several status issues. Multiple layer task selection allows for specific and easy room requests. Stand-alone option available; not dependent upon a nurse call system. Able to activate room status and patient status remotely via a web interface using an IP based software system. Dimmer available for nighttime settings. Transport, Procedure and Equipment paging requests. Call placement capability with a timer option. Mounts to 3-gang box, or single gang box with an adaptor. Integrates with existing Novus® systems when attached to the dome light. Integrated mini-dome and speaker for call annunciation. "In 1983, Larry Peters founded West-Com Nurse Call Systems, Inc. and has directed and managed the West-Com product line's growth from its beginning concept to the international, multi-million dollar corporation that it is today."